The Estonian Ministry of Education and Research and the Estonian Research Council in cooperation with the Research Council of Norway are pleased to open a call for proposals under EEA Financial Mechanism Baltic Research Programme in Estonia. The main goal of the Baltic Research Programme is to enhance research-based knowledge development in Baltic States through research cooperation between Norway, Iceland and Liechtenstein and Baltic States. During the programme period, three open calls will be foreseen: one in Estonia, another in Latvia (2019) and third one in Lithuania (2019/2020). The Programme will contribute to the reduction of economic and social disparities in the European Economic Area and to the strengthening of bilateral relations between the Donor States and Estonia, Latvia and Lithuania through financial contributions in the field of research. Based on the programme agreement, the funds of donor countries account for 85% of the programme budget and 15% is contributed by Estonia. The programme’s main outcome is enhanced performance of Baltic research internationally. The Baltic Research Programme shall strengthen research cooperation with the aim of stimulating strong and sustainable collaboration, complementarity, capacity and competence-building and provide a step for future collaborative research projects on EU and regional level. An important objective of the Programme is to present regional Baltic added value and strengthen human resources in research through facilitating international relations and involving PhD students and postdocs in the projects. 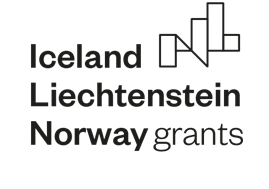 The collaborative research projects between the three Baltic states and the donor countries – Norway, Iceland and Lichtenstein – must be concluded before 30 April 2024 with a total budget of €22 million. Eligible applicants (Project Promoters) are positively evaluated research and development institutions established in Estonia who have partners in Latvia and/or Lithuania and Norway and/or Island, and/or Liechtenstein. Project partners can be research institutions, as defined in the EU Framework for State aid for research and development and innovation (2014/C 198/01), established in Latvia, Lithuania, Norway, Iceland or Liechtenstein. Entities established in third countries are eligible partners but cannot receive funding from the project grant (except travel costs). Cooperation with at least one research team from Latvia and/or Lithuania, and Norway and/or Iceland and/or Liechtenstein (donor project partners) is mandatory. Proposals are submitted by the Estonian research institutions (Project Promoters) electronically via the Estonian Research Information System ETIS (www.etis.ee). Partners from Baltic and donor countries can view an application form HERE. The online submission system is available for the Estonian applicants as of 25 October 2018. The deadline for submission of proposals is 31 January 2019 at 16.00 (EET). The eligible minimum duration of the projects is 36 months. The eligible maximum duration of the projects is 48 months. The projects are planned to be started in 2019 but not before the date on which the Programme Operator decides to award the project grant. The date for the final eligibility of the projects is 30 April 2024. The minimum amount of grant assistance applied for is € 300 000; the maximum amount is € 800 000 (including overhead costs and VAT) for projects with one Baltic State partner and one Donor State partner. Applications with partners from all Baltic States and one Donor State partner may apply for a project grant up to € 1,000,000. The total amount available in the 2018 call is € 6,000,000. Grants from the Programme may be up to 100% of total eligible project costs, provided all applicable national and EU rules on State aid are complied with. Any remaining costs of the project shall be provided or obtained by the Project Promoter and the project partners, according to their respective shares of the project budget. Eligible costs are personnel costs (the cost of staff assigned to the project), travel and subsistence allowances for staff taking part in the project, subcontracting costs (no more than 15% of total budget project), other costs (consumables), and institutional overhead (flat rate of 25% of total direct eligible costs, excluding direct eligible costs for subcontracting). Costs are eligible if they are justified, necessary and appropriate, and directly related to the project. That any other costs claimed by that entity (e.g. travel costs) follow the general rules on eligibility of expenditure contained in the legal framework of the EEA and Norwegian Financial Mechanism 2014-2021. Proposals are evaluated by three international independent experts. Based on evaluation scores, the Programme Committee shall rank the proposals through giving additional points according to the proposals’ relevance to the challenges specified in the call and potential added value coming from the Baltic regional cooperation and cooperation with donor state partners. The Programme Operator will take into account the recommendations of the Programme Committee on which proposals to select for funding and final awarding of grants.